Most tech companies make it difficult for users to say no to aggressive surveillance practices. But it is helpful to know about the default settings on your smartphone and how to change them. Technology companies have been pummeled by revelations about how poorly they protect their customers' personal information, including an in-depth New York Times report detailing the ability of smartphone apps to track users' locations. Some companies, most notably Apple, have begun promoting the fact that they sell products and services that safeguard consumer privacy. Smartphone users are never asked explicitly if they want to be tracked every moment of each day. 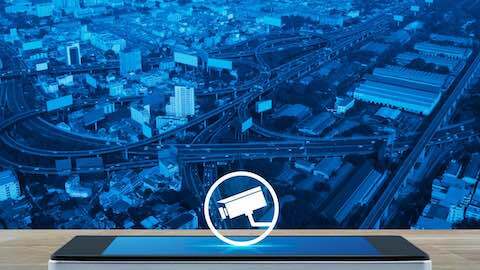 But cellular companies, smartphone makers, app developers and social media companies all claim they have users' permission to conduct near-constant personal surveillance. The underlying problem is that most people don't understand how tracking really works. The technology companies haven't helped teach their customers about it, either. In fact, they've intentionally obscured important details to build a multi-billion-dollar data economy based on an ethically questionable notion of informed consent. But people don't always have a free choice. Instead, it's a "take-it-or-leave-it" agreement, in which a customer can use the service only if they agree. Often, these policies will begin with a blanket statement like "your privacy is important to us." However, the actual terms describe a different reality. It's usually not too far-fetched to say that the company can basically do whatever it wants with your personal information, as long as it has informed you about it. For example, both companies' mobile operating systems let users turn off location services, such as GPS tracking. Ideally, this should prevent most apps from collecting your location -- but it doesn't always. Further, it does nothing if your mobile provider resells your phone's location information to third parties. App makers are also able to persuade users not to turn off location services, again with take-it-or-leave-it notifications. When managing privileges for iOS apps, users get to choose whether the app can access the phone's location "always," "while using the app" or "never." But changing the setting can trigger a discouraging message: "We need your location information to improve your experience," says one app. Users are not asked other important questions, like whether they approve of the app selling their location history to other companies. And many users don't know that even when their name and contact information is removed from location data, even a modest location history can reveal their home addresses and the places they visit most, offering clues to their identities, medical conditions and personal relationships. When companies set a default in a system, such as "location services set to on," people are unlikely to change it, especially if they are unaware there are other options they could choose. Further, when it is inconvenient to change the location services, as is the case on both iOS and Android systems today, it's even less likely that people will opt out of location collection -- even when they dislike it. Companies' take-it-or-leave-it privacy policies and default choices for users' privacy settings have created an environment where people are unaware that their lives are being subjected to minute-by-minute surveillance. They're also mostly not aware that information that could identify them individually is resold to create ever-more-targeted advertising. Yet the companies can legally, if not ethically, claim that everyone agreed to it. - Start by learning how to turn off location services on your iPhone or Android device. - Turn location on only when using an app that clearly needs location to function, such as a map. - Avoid apps, such as Facebook Mobile, that dig deeply into your phone for as much personal information as possible; instead, use a browser with a private mode, like Firefox, instead. Don't let default settings reveal more about you than you want. Mobile Technology & Smartphones: "How to Stop Apple, Google from Tracking You"